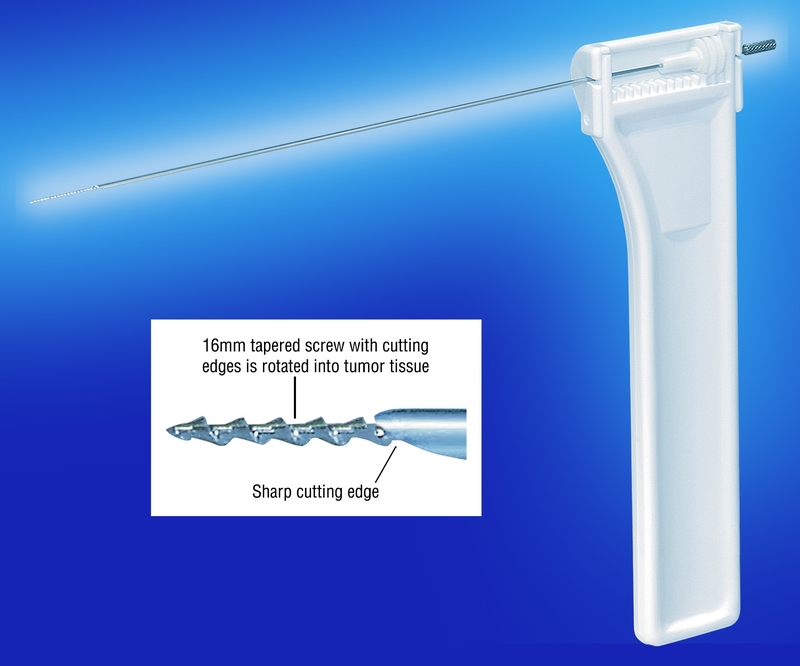 The Echogenic Rotex™ Screw Biopsy Needle improves sampling accuracy. 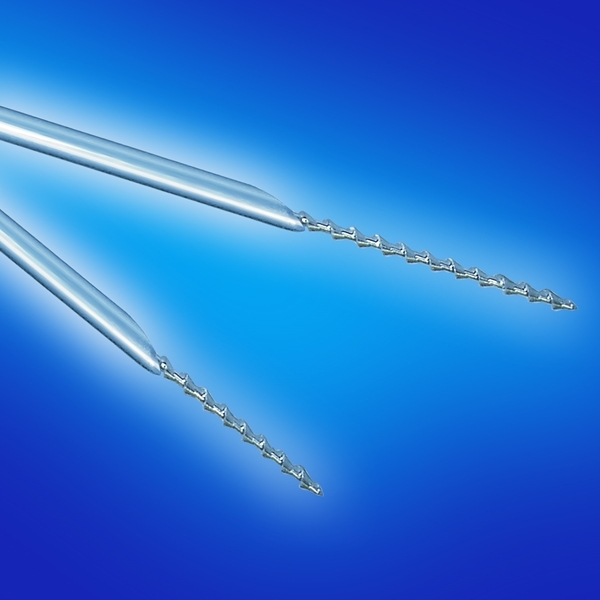 The 16mm tapered screw with cutting edges rotates into tumor tissue while the outer cannula rotates counter clockwise, covering spiral screw, with the tissue sample stabilized in grooves. Complete cell clusters excised, resulting in at least 95% diagnostic accuracy.